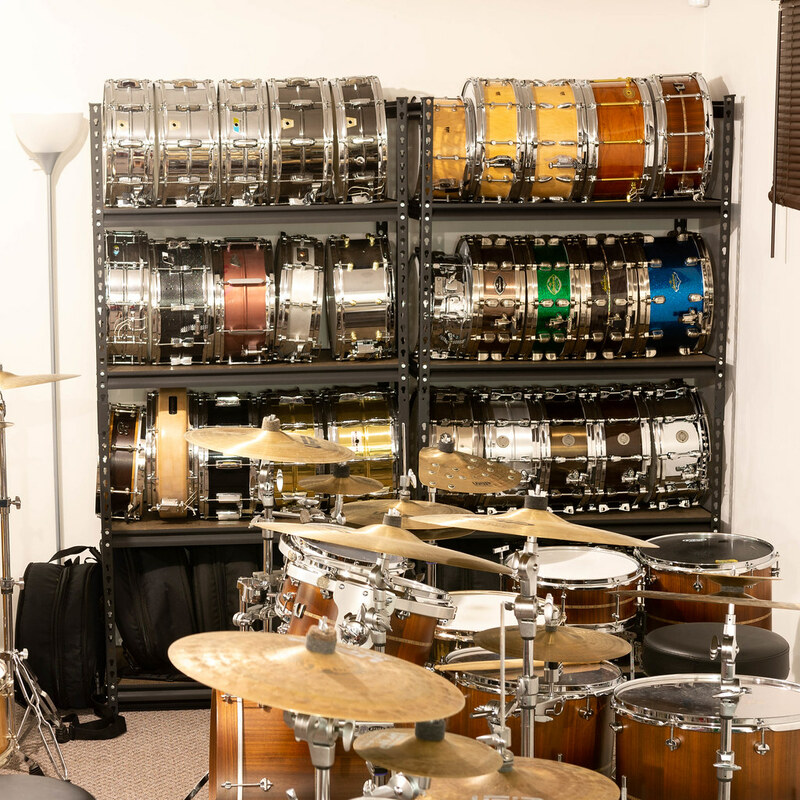 Thread: Show off your snare drum display! I use shelving units from Home Depot. You might consider getting some large sheets of the inexpensive clear vinyl (from any craft store) that you could use to drape over the shelves to keep the drums from getting dusty. The SLP acrylic was my first of four SLP snares. I always was intrigued by acrylic drums and the SLP had the right hardware for me. I bought it without hearing it and was surprised to hear that it had a very woody sound. It sounds great tuned high or low and of course it blends well with any color kit.